Lewes Castle is a rare example of a castle that has two mottes associated with one bailey (Lincoln Castle is another). It was built by William de Warenne, around 1069-70, and became the main seat for his family. In 1088, William was made Earl of Surrey, and the title continued until 1347, with the death of the last of the line, John de Warenne, the 8th Earl. William de Warenne certainly left his mark on the town of Lewes. Not only did he begin an imposing fortress, but he also founded Lewes Priory close by. When he died in 1088 his body was interred in the chapter house. Although only fragments of Warenne's building remains today, it is fitting that it should be remembered by the impressive barbican gatehouse that completed the castle in the 14th century. 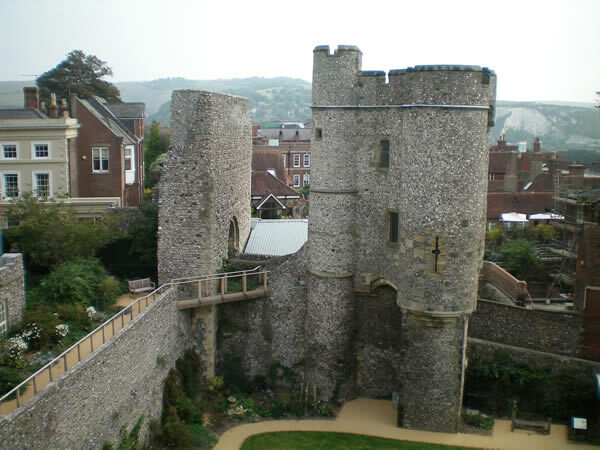 Lewes Castle is owned by the Sussex Archaeological Society. Tickets are sold from Barbican House which is just opposite the entrance gate, and include access to the Barbican House Museum of Sussex archaeology and the Town Model, both located there. Why not spend the weekend in Lewes at our B&B, so you can explore the many interesting historical sites, click here for B&B availability in Lewes.